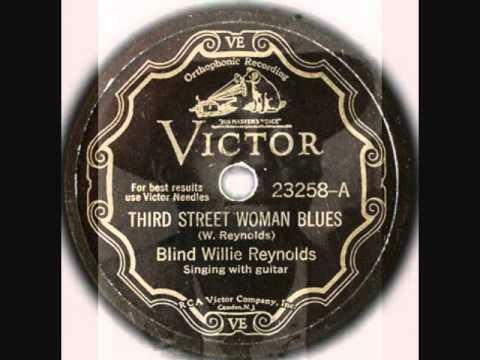 Born in Tallulah, Louisiana, Blues guitarist and songwriter, Blind Joe Reynolds recorded eight songs with Paramount Records and Victor Records. Reynolds was given the nickname “Blind Joe” after losing both of his eyes from a shotgun blast following an altercation. Although left blind, Reynolds remained outspoken and candid by often using his music as a tool to speak out against societal injustices. Blind Joe Reynolds, who also recorded under the name of Willie Reynolds, was known to have a reputation in the years after losing his sight. Reynolds moved Lake Providence, continuing to perfect his style of bottleneck slide guitar. Personally, he was known as a bit of a rogue, who taunted societal norms. His blindness did not prevent him from fending for himself, as he became known as a crack-shot with a pistol from hearing his target.